Do you know that the average American consumes at least 26 liters or 45.8 pints of ice-cream a year? Worldwide, about around 15 billion liters or 3.3 billion gallons of ice-cream are consumed every year. This is enough to fill 5,000 Olympic swimming pools! From all ages, this frozen delight is the favorite. An ice cream treat is the best way to withstand the heat of summer. 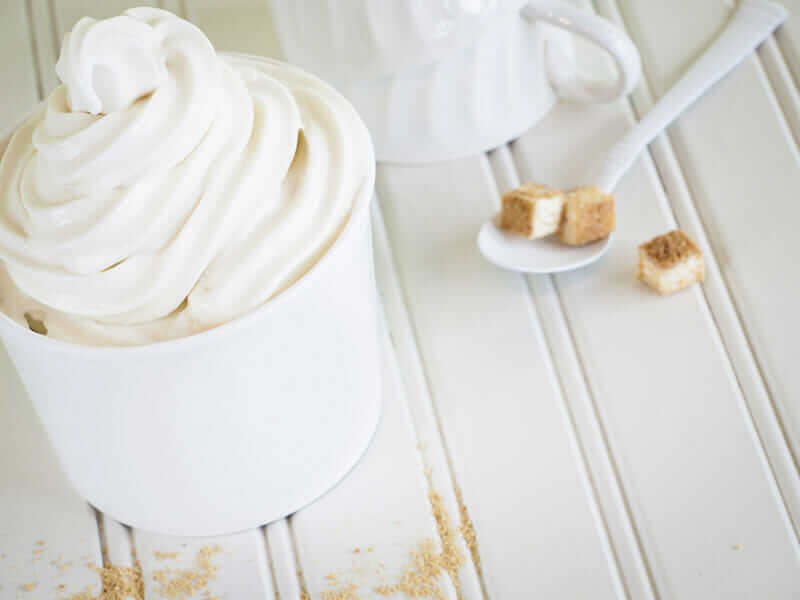 The good news is that after having your fill of burgers, fries, nuggets, or whatever is offer in a fast food store, you can order and enjoy a creamy, cold dessert to cap off your meal. It will surely make your day! Every fast food chain offers ice treats in some way; it could differ in shape and form but it is still that delectable dessert. Three fast-food chains lead the rest by serving an iconic treat that satisfies the most discriminating palate of customers making them come back again and again. McDonald’s has its McFlurry, Dairy Queen’s has its Blizzard and Wendy’s has the Frosty. In the battle of ice creams, who will reign? The price of $2.93 fits your budget and two minutes-time to get your order is good enough to relax a bit before gobbling down the delectable offering. McFlurry is a soft ice cream dessert that contains pieces of candy or mixed with cookies. Its first appearance was in 1995 when it was integrated in a menu at Bathurst, New Brunswick, Canada franchisee in 1995. From hence on it was part of the menu. Flavoring are delightful mix of crushed M&Ms, Mars, Minis, Oreos or Reese’s; incorporated candy bars like Galaxy, Snickers, Twix, etc. ; Cadbury’s candy bars like Crème Egg, Crunchie, Twirl, etc. ; and Nestlé candy bars like Butterfingers, Drifter, Rolo, Smarties, Wispa, Yorkie, etc. it is interesting to note that different regions also come up with their own flavors. The dessert is served with a mixing blade that is a specially designed spoon with a hollow handle that is attached to the mixer spindle. The blade is used once then given to the customer to use as an eating utensil. Weightwatchers should know that McFlurry has around 340 calories. Blizzard is a popular Dairy Queen soft-ice cream served after it is mechanically blended with an array of ingredients as pieces of brownies, candies, cookies or sundae toppings. Since it was introduced in 1985, it became a staple in the menu. During its debut, Dairy Queen sold more than a million Blizzards. Popular Blizzard flavors are Butterfingers, chocolate chip cookie dough, Health Bar, M&Ms, mint Oreo, Oreo Cookies and Reese’s Peanut Butter Cup. Seasonal flavors are also available like the Pumpkin Pie flavor in October. On July 26, 2010, Dairy Queen introduced a new package of “mini” size Blizzard, in 6 oz. cups. For those who love cakes, Dairy Queen has Blizzard Cake in strawberry cheesecake and Reese’s flavors. Calorie count depends on the size and flavor. The price of Frosty is $1.40 that is so competitive and waiting time is only a minute. Frosty is the signature frozen dairy dessert of Wendy’s fast-food restaurants. This frozen type dessert was originally available only in chocolate, until the vanilla flavor was introduced in 2006 after repeated consumers’ requests. The inventor of Frosty was a dairyman E.M. “Bill” Barker who concocted the frozen delicacy at the request of Wendy’s owner, Dave Thomas. The first Wendy’s was opened in 1969; they served the original Frosty that was actually a combo of chocó and vanilla or swirl. Dave Thomas thought that 100% chocolate would overpower the flavor when paired with a Wendy’s burger and fries meal. A 2nd vanilla flavor was introduced in 2006. Hail to the ice cream queen Frosty! Selection of winner was based on economy of cost and time in waiting for the order. Chocolate is always the favorite flavor. Scientists discovered that eating even a spoonful of a cool delicacy can revitalize the pleasure center of your brain as if you win money in the Lotto or joyfully entertained listening to your favorite music. According to the neuroscientists at the Institute of Psychiatry in London, when they scanned the brains of people eating vanilla ice cream, they found an immediate effect on parts of the brain known to activate when people enjoy themselves; these include the orbitofrontal cortex, the “processing” area at the front of the brain. So when you are down, you have to option to order a McFlurry, Blizzard or Frosty and feel happy! An ice cream is like happiness in a cup. I chose chipotle because it’s the healthiest choice and I get 50 cents back.